This time last year Mike Bobinski was still Athletic Director (AD) at Tech. 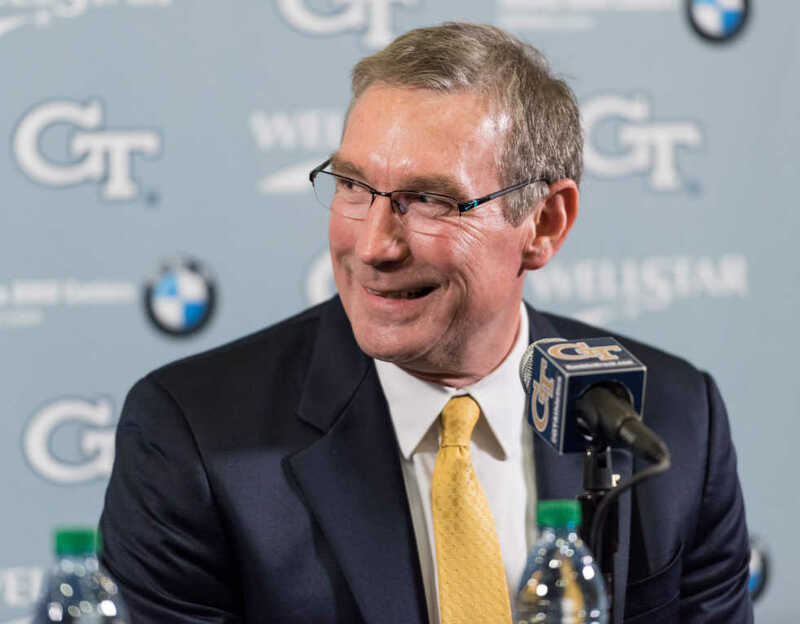 In October, the Jackets welcomed Todd Stansbury as the 9th AD in program history. With his career full of athletic successes, there’s no doubt that he will do everything he sets out to do for Tech athletics. In fact, with almost a full year under his belt, Stansbury has already begun making his dreams for Tech athletics into realities. A Jacket himself, Stansbury’s familiarity with Tech values and traditions has given fans and athletes peace of mind that Tech’s athletic program is in the right hands. He competed on the field at as a linebacker and in the classroom on campus. Priorities number one and two of Stansbury’s four strategic priorities reflect a desire to breathe life and bring community back to Tech athletics. Priority number one is to define the Tech athletics brand; number two is to establish an internal culture. Stansbury’s dedication to his priorities for Tech is reflected in his eagerness to make changes early in his time as athletic director. An Office of Brand and Office of Innovation have already been put in place. Stansbury’s second point of his priorities originates from his first job in the Tech athletic department. His first experience came just a couple years after graduating from Tech. Dr. Homer Rice, AD at the time, invited Stansbury onto the staff as Assistant AD of Academics. This reestablishes the internal culture that Stansbury experience as an athlete and as an Assistant AD and makes Tech more attractive to both recruits and their parents. With Tech considering what athletes will be doing five to ten years after graduation, athletes and their families can rest assured that they will be given the resources needed to succeed during their time at Tech and in the years after graduation. Looking forward, there are a few big tests coming up for Stansbury. The new apparel deal will most likely be announced sometime later this year. As seen with the current deal, the apparel company that Tech decides on will have more impact on simply what Tech athletes wear on the field or court. If anyone is prepared for this, however, it is Stansbury. With his primary goal being defining the Tech athletics brand, this deal will help him shape his vision for Tech athletics for years to come. Another test will be the continued changing of coaches across sports. At this time more and more coaching spots are filling with young, energized coaches that look to guide Tech long into the future. Older coaches like Danny Hall, who have seen a dip in results over the past few years, may be on the chopping block. Stansbury will face tough choices on whether to part with old members with a rich history at Tech, and an even tougher time filling the voids that they leave. Tech athletics department is bigger than its athletes. Tech athletics is athletes, coaches, athletic trainers, fans, alumni, communication staff, managers, directors, and so much more. Stansbury understands that. He’s sees the big picture and dreams even bigger. Under Stansbury, the future of Tech athletics looks bright.